Meir Indor, the head of the Almagor Terror Victim Association, warned that there are more MKs who use their immunity to aid terrorists. 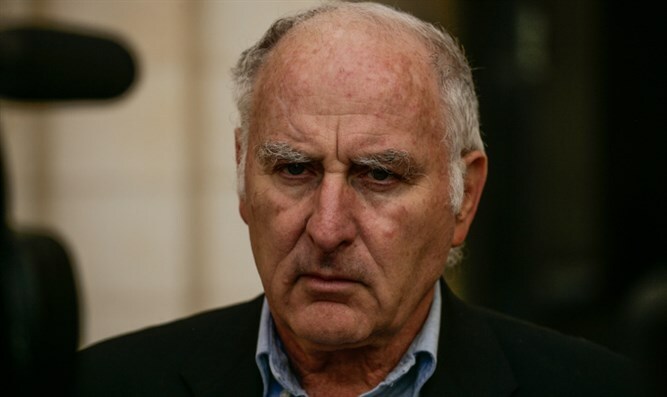 Meir Indor, the chairman of the Almagor Terror Victim Association, praised the decision to strip MK Basel Ghattas of his parliamentary immunity following his admission that he smuggled mobile phones to security prisoners in Israeli jails. The phones were used to plan terror operations. At the same time, Almagor warned that there are other MKs who abuse their immunity to provide aid to terrorists in prison and that he has information incriminating them. "On the one hand, I'm happy [about] the decision. On the other hand, I know, and people who are working for security of Israel know, how deeply involved those members of Knesset are, those who glorify the terrorists and at the same time smuggle in phones and messages to them from other terror groups." Indor said. He added that Arab MKs have been smuggling items and even "sometimes orders to kidnap Israeli soldiers" to terrorists in Israeli prisons for years. He expressed hope that Ghattas would be convicted and sent to jail and that the other MKs who actively aid terrorists will realize that they can no longer do so with impunity.